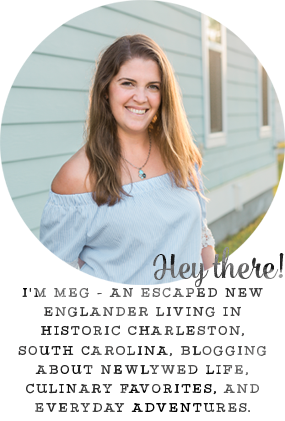 There's no doubt that summertime and grilling go hand in hand, but by mid-July (with a grilling season in South Carolina that's almost year-round), Mike and I are pretty sick of hotdogs and hamburgers on repeat. But they're just so easy any day of the week! We are definitely a fan of simple meals, and who has time remembers to marinate their meat in the morning? Not us. While recently at Walmart, we found our new go-to: Smithfield® Garlic & Herb Marinated Fresh Pork Sirloin. It's already marinated; how awesome is that? With all of the meat prep taken care of, all we needed were five additional ingredients to make a full meal. 2. Slice sirloin into three or four portions and place on grill. 3. 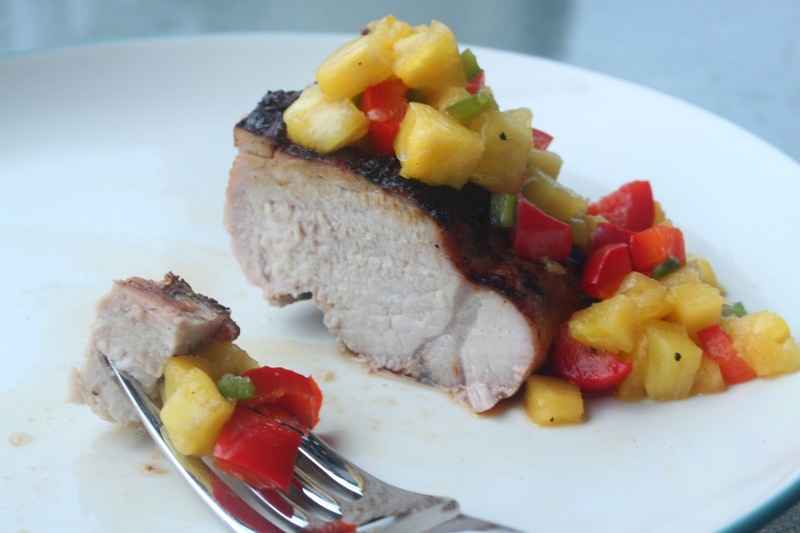 While the pork is cooling, slice the pineapple, bell pepper, and jalapeño. 4. When the internal temperature of the pork reaches about 110 degrees, add the fresh fruit and veggies to the grill, as well. 5. Remove everything from the grill when the pork's internal temperature reaches 145 degrees. 6. Let the pork rest for about 5 minutes so that it will be juicy and delicious! 7. 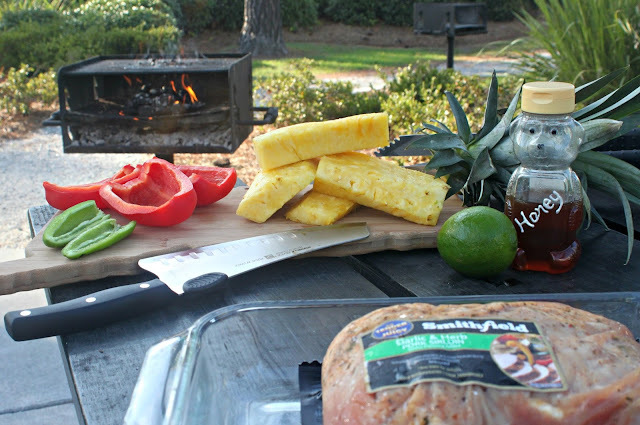 During the time the meat is resting, dice up the peppers and pineapple. 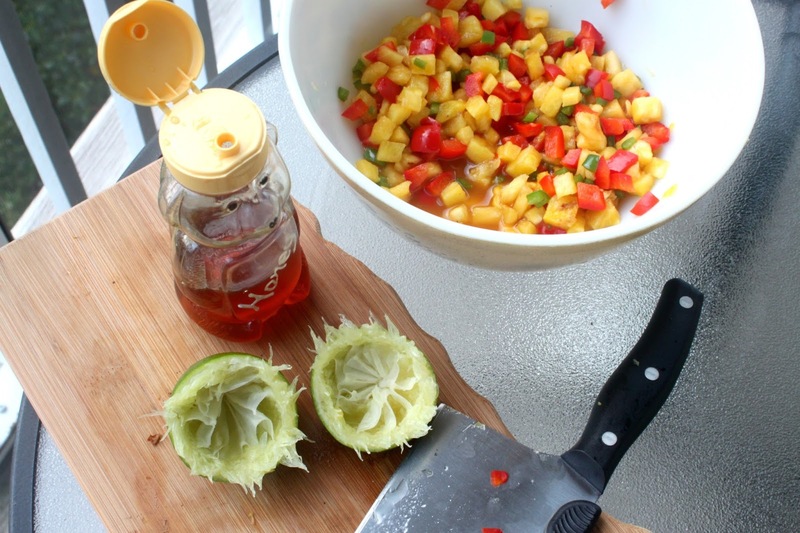 Add a tablespoon of honey and the juice from one lime to the chopped ingredients to finish off the relish. 8. Top the pork with the relish and enjoy! Seriously - so delicious!! Want to try it for yourself? 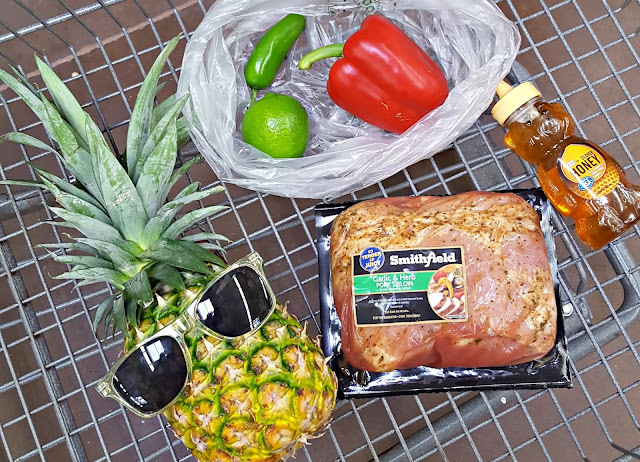 You can save $2.00 on any one Smithfield® Marinated Fresh Pork product with this digital coupon offer (while supplies last). 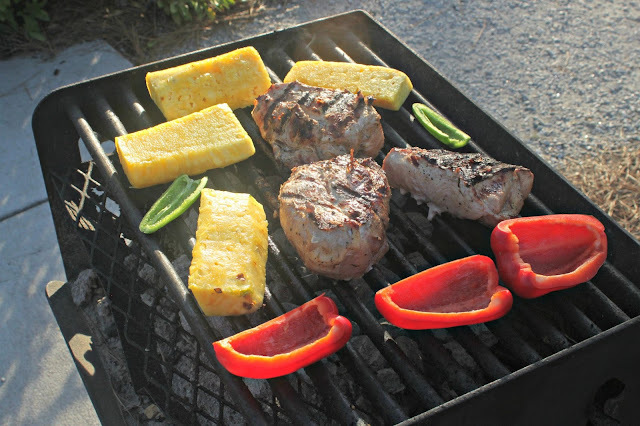 What's your favorite food to grill? With what would you top delicious Smithfield Marinated Pork? Also linking up for Tuesday's Recipe Swap! Ummm this looks delicious & is making me hungry!! Oh yumm, that looks so good and easy! I'm all about easy dinners, especially on weekdays! This looks amazing! 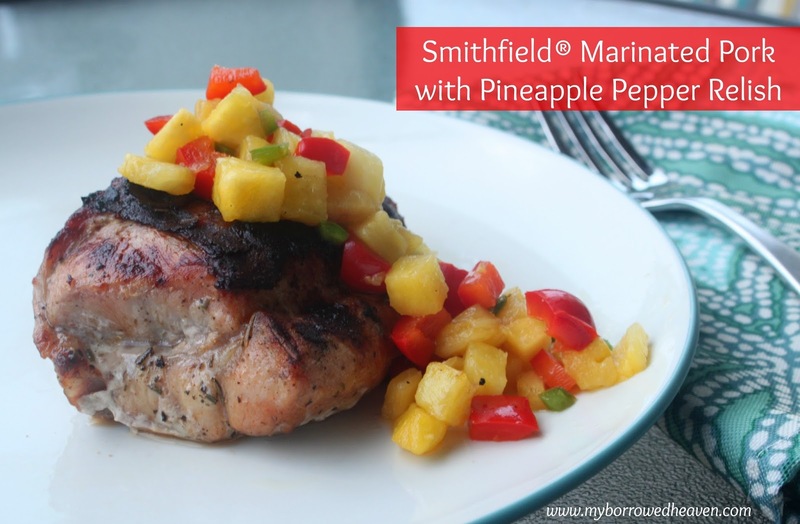 I've never tried grilling pork, but maybe we will have to try it, especially with that pineapple relish! Funny enough, I've never grilled pork before. Mainly chicken and steak for us but I might have to give it a try, Looks like inside was cooked perfect!